Photo submitted to Times Observer The new furniture room at the Wilder Museum of Warren County History will host one of the classes of the Warren Garden Club flower show — We Gather Together — Thursday, Friday, and Saturday. The Warren Garden Club is helping the Wilder Museum blossom. The Club will use the Irvine venue as a host for the National Garden Club small standard flower show — “We Gather Together” — from 1 to 5 p.m. Thursday through Saturday, June 21 through 23. We Gather Together features four design classes and a horticulture division with the themes. ¯ “‘It’s Your Day’ will have floral designs will be displayed on bed trays creating the experience of pampering a loved-one,” according to a Warren Garden Club release. 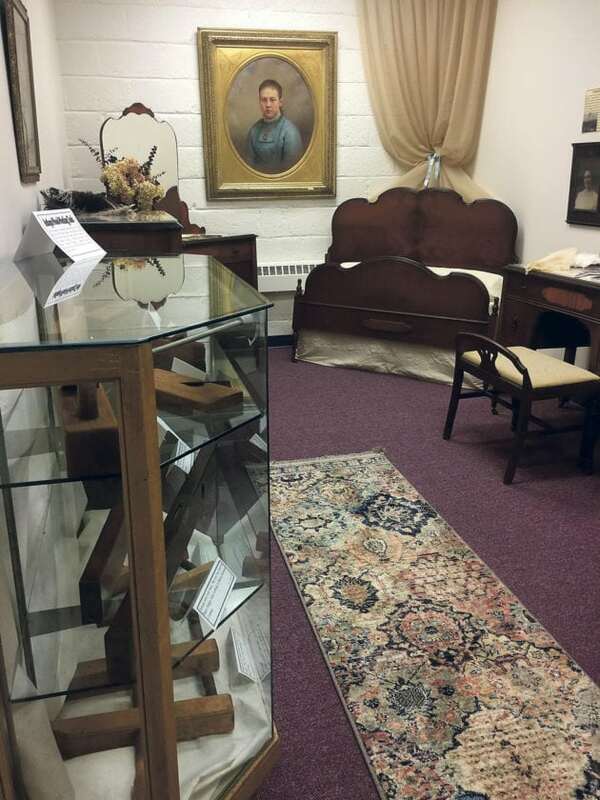 That class will be located in the museum’s new furniture exhibit room, which is made up to be a bedroom and, according to a Warren County Historical Society release, features furniture made in Warren County. Admission to the Wilder Museum of Warren County History is $5 per adult and $1 per student. Members are admitted free.